Trinnov has announced that, in the first quarter of 2017, the company will add Roon support to all Amethyst and Altitude32 pre/pros. 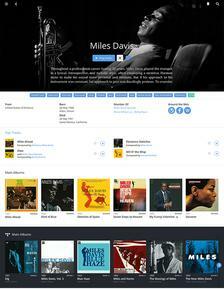 Roon is an advanced music server platform that provides in-depth info about your music--including photos, bios, reviews, lyrics, concert dates, and more--in a beautiful interface. The Trinnov update will be free and includes a 60-day complimentary Roon license. Trinnov Audio is announcing their support for Roon music software, with availability expected in the first quarter of 2017. All existing Amethyst and Altitude32 preamplifier/processors can become Roon-Ready with a simple--and free--software update that includes a 60-day complimentary Roon license. Roon is a revolutionary music server system designed to reconnect you with music in a way that has been largely lost in computer-based audio systems. It collects your music from all your computers, NAS drives, and even streaming services like TIDAL, bringing them together in a beautiful interface that invites musical exploration. With biographies, high-resolution photos, lyrics, reviews, credits, and concert dates, Roon allows users to discover the connections between the artists, composers, performers, producers, and composers who created the music they love most, providing valuable insights and helping them to discover new music they'll love. Roon dispenses with ordinary IP-based transmission of audio streams, implementing instead their own Roon Advanced Audio Transport to ensure maximum playback quality throughout your home. Whether you choose to listen to your music on your smartphone, or the bedroom TV, or on your main music system featuring an Amethyst or Altitude32, the quality of playback will be the best of which that playback system is capable. In the case of the Trinnov Amethyst and Altitude32, that playback quality is extraordinary. Both the Amethyst and Altitude32 feature a Network Renderer feature that is designed to receive audio files over your home's network and to convert them to audio at the highest-possible quality. Having had UPnP and DLNA capability for years that revolutionized what could be expected from computer-based audio, the addition of support for Roon extends this revolution to the entire experience of listening to music. But these Trinnov preamplifiers do not stop there. They incorporate Trinnov's unique and proprietary Speaker/Room Optimizer that corrects for limitations and deficiencies in both your loudspeakers themselves and in the acoustics of your room. The resulting clarity and coherence is "ear-opening" to say the least. The combination of Roon and Trinnov will connect you to your music as never before. • Get more information on Roon here. • More details on Trinnov's line of pre/pros is available on the company's website.